Young onset dementia (YOD), defined as dementia diagnosed under the age of 65, presents a particular challenge to services to provide the right care and to clinicians to make an accurate diagnosis. Three leading experts, Alistair Burns, Janet Carter and Jeremy Isaacs provide offer an insight on the latest developments in this area of work. Current figures suggest that there are 44,000 people with YOD in the UK. The national Dementia Diagnosis Rate counts those over 65, (over 97% of those on the register) with figures about the number of people with YOD available to clinical commissioning groups (CCGs). This way of measuring the number of people with dementia records only current age and does not record people who were diagnosed when aged under 65 and then ‘graduate’ with their illness. Unlike late onset dementia in which the commonest causes are Alzheimer’s disease, vascular or mixed dementia, YOD is more often due to rare causes, unusual presentations of the common dementias and genetic causes. Indeed, memory problems may not always be the main complaint. People with YOD have a higher likelihood of behavioural problems such that misdiagnosis as a psychiatric condition is not uncommon. As these rarer causes of dementia are often more difficult to diagnose, there is often a delay to diagnosis – said to be on average twice that of those with late onset disease, and on average, each younger person sees between two and five different consultants before a diagnosis is made. Understanding the cause of dementia in a younger person is quite rightly relatively intense and more specialist investigations including brain scans and laboratory tests are necessary. However, it is worth remembering that the majority of younger adults who report memory complaints do not have dementia but are likely experiencing poor concentration and difficulties with attention, often caused by depression and anxiety. It would be inappropriate to subject these individuals to needless and expensive investigations. Therefore, deciding who to investigate and who to reassure can be challenging. There is good evidence, as with other conditions, that specialism results in a more timely diagnosis, which is particularly important for younger people with dementia. Many traditional memory clinics will be able to provide specialist care for younger people, for example by having a clinician with a particular interest in YOD diagnosis, or by working collaboratively with a specialist cognitive neurology service. After diagnosis, local services providing age-appropriate aftercare and expertise in managing behavioural problems are essential. People with YOD have distinctive needs due to their age and stage of life. Some of the clinical issues may include the presence of young children, a desire to carry on working, having the option for meaningful social activities and coping with financial commitments when unable to draw a pension and lost earnings. These needs are not currently specifically addressed by mainstream dementia services. A recent survey of UK memory services showed that, of those who responded, one in three provided no post-diagnostic support services for people with YOD, one in three provided no age-specific occupational or social groups, only 11% identified local short-stay (respite) facilities and only 14% identified local long-term residential care. While services that are tailored to older people may be able to provide safe and effective care to younger people with dementia, people living with YOD, not surprisingly, often express a preference to have bespoke services. 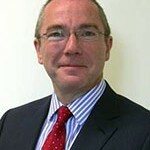 There are two things that could be done which may help to improve the situation – one clinical and one commissioning. First, from a clinical perspective, increased awareness of the symptoms of young onset dementia would be helpful. At the very least, thinking about the red flags which alert clinicians to the possibility of dementia in a young person might be helpful, mindful of the adage that if you don’t think about it, you will never diagnose it. The YOD Network at network@youngdementiauk.org has a wealth of information about the condition. Second, commissioners could consider, as part of their dementia plans, a bespoke piece of work on YOD (we know it is an area of interest and many have done this already). It may be that an STP footprint will be helpful in guiding thoughts. As part of this, a copy of the young onset dementia care pathway can be found here. The Memory Service National Accreditation Programme (MSNAP) also has new standards for memory services in relation to younger people. Among examples of those who provide expertise in the field, the Havering Memory Service is a community-based psychiatry-led service that has a clinician with a specialist interest in YOD and provides bespoke post diagnostic support and St George’s Hospital provides a regional cognitive neurology service that has developed bespoke post-diagnosis support for people living with YOD. 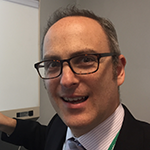 Jeremy Isaacs is a consultant neurologist at St George’s and Kingston Hospitals and is dementia clinical lead at St George’s Hospital. He studied medicine at Cambridge and UCL; his PhD was on the immunology of Creutzfeldt-Jakob disease (CJD). Jeremy has a specialist interest in cognitive neurology and dementia. He runs a multi-disciplinary cognitive neurology service at St George’s Hospital offering diagnosis, treatment and support for all types of cognitive disorder, including young-onset and atypical dementias. He has developed a pioneering support group for people living with young onset dementia. He is currently working with the London Dementia Clinical Network to support memory services in reducing waiting times for assessment and diagnosis. Jeremy is a member of the NICE dementia clinical guideline (update) committee. He is co-authoring the chapter on Memory Disorders and Dementia for the forthcoming Oxford Textbook of Neuropsychiatry. He has published on clinical and molecular aspects of neurological disorders, prion biology and the history of medicine. He has research interests in clinical trials in Alzheimer’s disease and other dementias, repurposing of drugs for dementia and delirium and the neuropsychology of functional cognitive disorders. Dr Carter is a Senior Clinical lecturer in Old Age Psychiatry at UCL Division of Psychiatry. 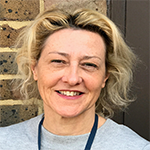 She works for as a Consultant in Old Age Psychiatry for NELFT in Havering where she runs a community mental health team and a Cognitive Disorders clinic with a fast track service for under 65s. She is member of the Steering group for the Young Dementia network. Just read your article after reading am appointment letter for the YOP clinic. Thanks for this update. I am beginning some research on mental capacity decisions and young onset dementia and would welcome a discussion about this. This is a really useful and interesting blog post, thank you. Many people with young onset dementia present solely with a progressive deterioration in language or speech skills- a progressive aphasia or apraxia. These are often termed primary progressive aphasia. Other cognitive skills such as memory, judgement and insight remain intact for the first few years. This can be incredibly frustrating and is often misunderstood. There is increasing evidence that speech and language therapy interventions can help. Word relearning therapies can maintain language for longer. Other interventions such as conversation training and communication aids can be useful too. A recent survey of speech and language therapists (SLTs) across the UK (Volkmer et al, forthcoming)demonstrates conversation therapy is considered extremely valuable in supporting people with PPA. Unfortunately there is a general lack of awareness amongst the general and the health community about what SLTs can do. This is a very useful blog indeed. A great deal of work is going on in Worcestershire to support younger people affected by dementia. Alzheimer’s Society is working closely with partners to deliver YOD cafes, a service called Connection Point and a Rare Dementia Support Group. We are very much looking forward to having you along Anna, to our Rare Dementia Support Group in June.